the collet fully engaged on the motor shaft. Fully engaged is defined as the motor shaft is bottomed out in the adapter or the adapter is bottomed out against the motor. could result in possible vibration and/or failure, and will void the warranty. 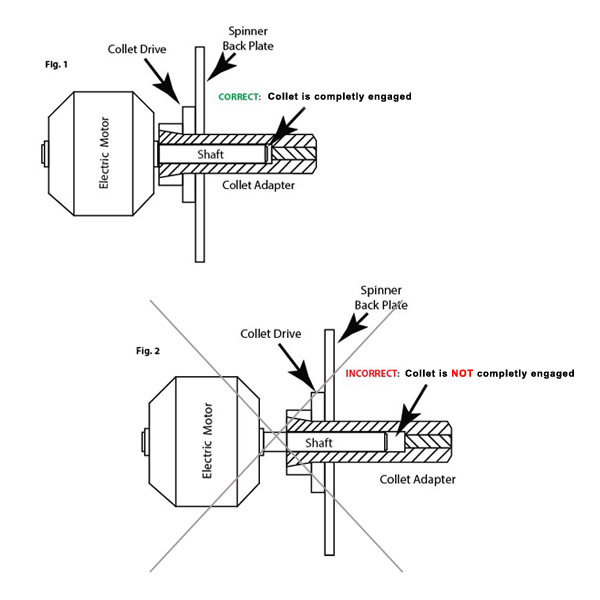 under any circumstances, slide the adapter forward on the shaft for spinner clearance and tighten it down (Fig. 2). Please be a responsible owner/operator of your R/C electric model. This guide is for your safety.